THE DISTRICT SIX TSM&O PROGRAM MANAGES TRAFFIC OPERATIONS 24 HOURS PER DAY, 7 DAYS PER WEEK IN MIAMI-DADE AND MONROE COUNTIES. FDOT manages traffic to promote roadway mobility and safety. 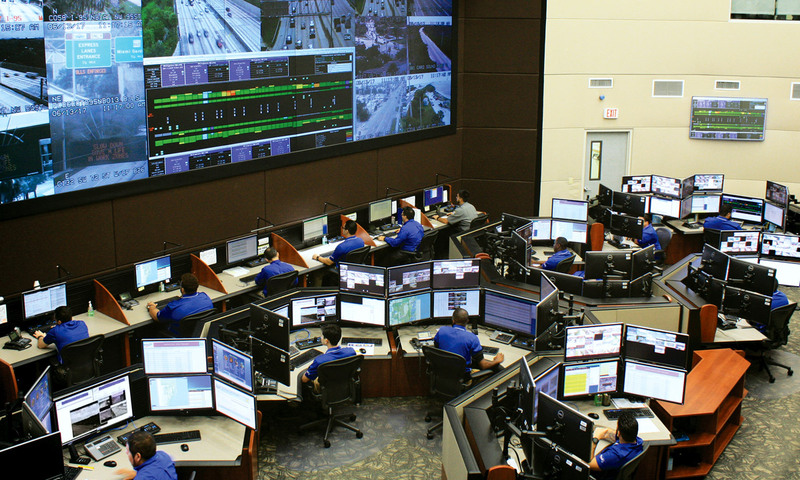 Staff at the SunGuide TMC use TSM&O strategies and technologies to monitor roadway conditions and operate congestion management projects like managed lanes and ramp signaling. They coordinate incident clearance efforts by dispatching Road Rangers and field personnel. They also inform drivers about traffic alerts via the District’s traveler information resources and manage arterial operations. Traffic management is a proven approach that reduces congestion and provides real-time benefits for all drivers. It is a cost-effective and innovative way to ensure safety and mobility in the area. 95 Express is located along 21 miles of Interstate 95 between Miami-Dade and Broward Counties. The project provides optional travel lanes that customers can choose to use when they want a more predictable travel time. 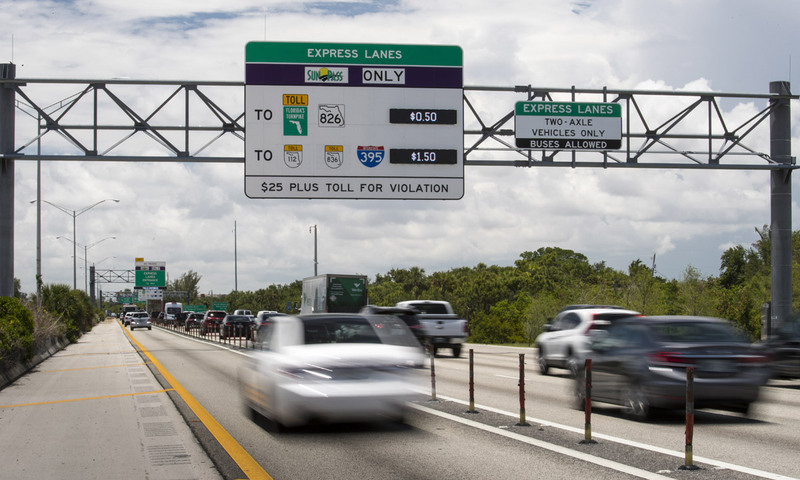 Customers in the express lanes pay a dynamically priced toll that increases as traffic begins to build in the express lanes and decreases as traffic reduces. Express lanes are designed with a limited number of entrance and exit points to serve longer, more regional trips. District Six manages 95 Express from the SunGuide TMC. Traffic operators monitor daily operations to keep the express lanes operating safely and efficiently. Ramp Signals on I-95 are part of the overall 95 Express congestion management project. They are located along the highway’s entrance ramps and alternate between red and green lights to regulate the number of vehicles entering the highway. The goal is to reduce bottleneck congestion and make the merging process easier and safer for all drivers. 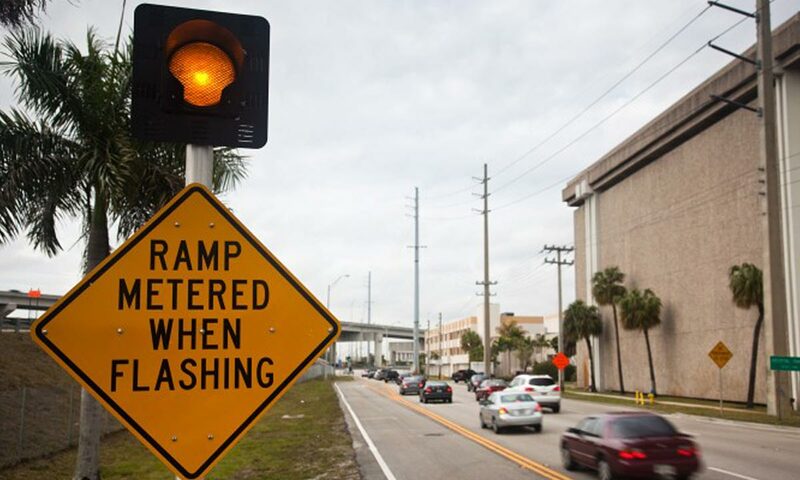 Ramp Signals are activated during weekday rush hour periods and are operated by staff at the SunGuide TMC.